Scroll the traditional Woodimal puzzles that simply spell the name of the animal. 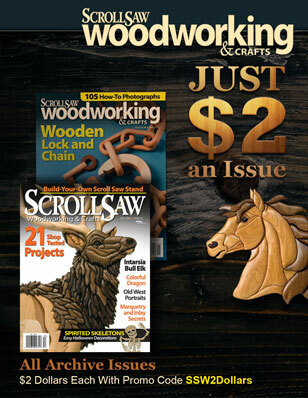 Show your support for your favorite political party with the whimsical Woodimal™ puzzles that appeared in Scroll Saw Woodworking & Crafts Fall 2012 (Issue 48). 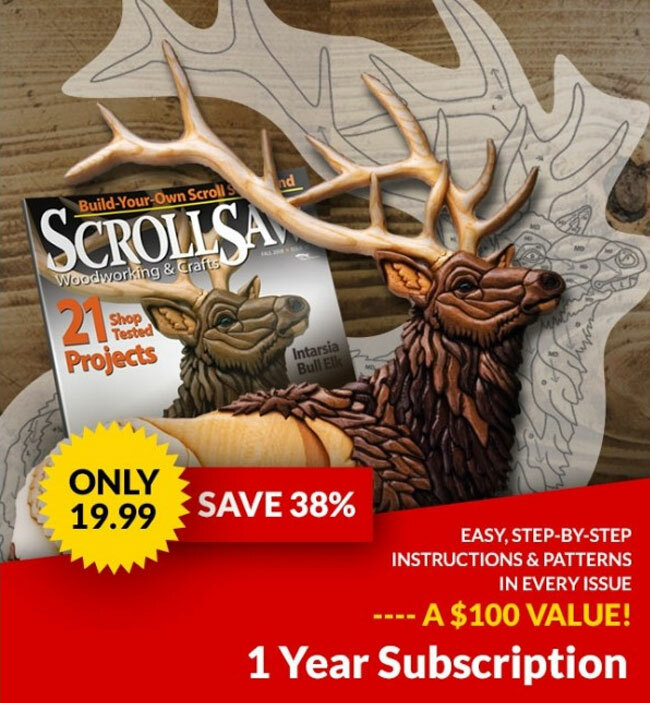 A Woodimal usually spells the name of the animal it represents, but we provided a unique set in the print issue that honors the Republican and Democratic parties instead. 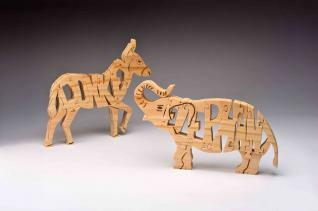 For those of you who prefer the more traditional Woodimal patterns, download the patterns that say “donkey” and “elephant” below. We’ve also included a bonus “GOP” pattern. On the patterns, the dotted lines are for painting or woodburning reference only—do not cut along those lines. Use a #5 reverse-tooth blade for most of the cutting, but use a #1 reverse-tooth blade for the veining details. I use a 1/8″ (3mm)-diameter drill bit for the blade-entry holes for the letters and a #60 drill bit for the veining details. If you are not comfortable scrolling the eyes, paint them or burn them with a woodburner. These puzzles were cut from pine and are painted with patriotic colors. Alternately, oak, ash, and poplar look nice with a natural finish.